Some people do ballet dancing for weight loss. While a lot of people think swimming is the best option for burning calories per minute. Ballet is a hard job for many reasons but some people do ballet dance for calorie burning while some do it for other purposes. Ballet engages your spirit body and mind. This is an art and resistance training. You are using your body weight while doing ballet while every jump, every plié, every fondu, and releve. Resistance is, for every tendu pushing into the floor, grande battment, jumping and degage when any sliding motion is being used. Resistance is also when pointe shoes are being worn. Pirouttes in Cecchetti are done using grande plie that is resistance. A ballet dancer who weight is 110 pounds consumes 63 calories that are more than 360 calories in one and half hours. So, it means that if you are doing the ballet dance 3 times a week, and want to maintain your physique or want to burn fat, you must have to eat less than 360 calories of food on those days in which you don’t have a class, otherwise you must have to do another exercise to keep the balance. When you walk for 3000 steps you will burn 25-35 calories and it will take around 25 minutes, also depends on your weight. The best exercise is the one that you do. So, whatever your exercise you are doing, just enjoy it. 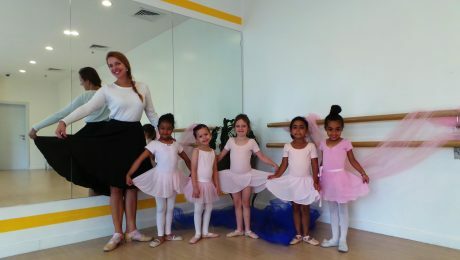 If you are in Dubai and doing ballet as an exercise get the right fit ballet shoes for yourself and join the best academy for Kids Ballet Classes in Dubai. 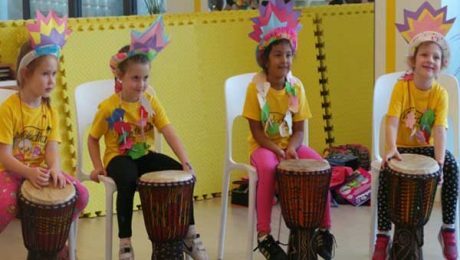 Opt for Melodica music and dance institute, the most loved schools in Dubai for music and dance classes. Join Meldoica! Get yourself involved in music. It can enhance your math skills and will boost your creative thinking. It can increase discipline in you and enhance your creativity. But before joining a musical institution, you must have to find the best place or music institute. The question is how to find the best musical school. To find a musical institute for your kid might be a little difficult. However, it also depends on the area in which you reside. Every school has their own good or bad points. For example, some of them might be expensive but they are dedicated to provide you quality education; while some are inexpensive but the quality of their education is not even standard. However, the reality isn’t a specific answer to this. There are lots of factors that you have to see, before selecting a musical institute. This is good practice to find how the teacher works and how are his teaching methods and how he teaches to his students. 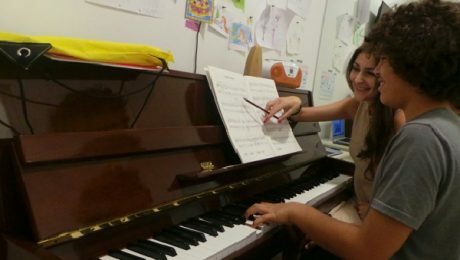 No one understands your kid better than you, so you can guess easily if your kid will understand and enjoy the music classes from that particular musical teacher. When you try to meet the teacher, you can find out more about him; e.g. how much is his experience, etc. Another method is you can ask to sit in a few musical lessons to understand their method of teaching. Inquire about the fees and cancellation policies of the school and make sure their policies are flexible. What are their policies if a lesson is being missed? • Will they provide you with all your kid’s evaluation reports record? • Will you be notified of any issues or progress? • Will the teacher provide you the report of the lessons etc.? While there are a lot of other things but the above-mentioned things are basics. Melodica Music and Dance Institute offer music & dance classes for kids and adults. Melodica is the most loved and best music institute in Dubai. Visit our institute, have a trial music class today for learning musical instruments. 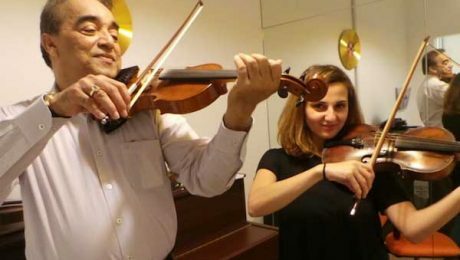 Visit Melodica.ae and see details as we offer the best piano, guitar, drums, keyboard, and violin classes in Dubai. Before learning music for kids, the basic step is the audiation. You might have heard “inner hearing”. The word audiation was basically coined by a researcher in Music Education Edwin E. Gordon. Audiation is a term used first time by Gordon and its meaning is to comprehending music in the mind. Gordon said that audiation is the basic key for musicianship. Audiation is to hearing and understanding, the music in mind, even if there is no physical sound. This is a natural process in which your brain interprets the musical sounds. According to Edwin E. Gordon, audiation is the analogous to learn a language. Mary Ellen Pinzino, founder and director of the Come Children Sing Institute, a center for research and development in music learning, said that audiation is the way to know rhythm and melody. It has a unique place in a human beings mind and audiate means to think the music only in rhythm and melody. Audiation is like music imagination and it’s on a different level of knowing. This is made by human mind and this is music imagination that gives the understanding or framework to learn the music that we use to learn. Audiation occurs when we hear some music silently and it is like giving meaning to music other than sound. This is like to copy the song rhythm pattern. For your kids the fundamental thing in learning music is the audiation. Before learning the music theory and other aspects of music, audiation is always the basic step. The same thing we do while hearing music silently. We hear the whole words and not the letters. The more words exist in your vocabulary; will be easier for you to understand the music. If you have a better tonal and rhythms pattern, the better you will hear and comprehend the meaning of music. If you want to make your child or student’s speaking’s and listening’s vocabularies better, they must listen and move to different kind of tunes. This is very important to develop the child’s audiation or inner hearing skills in the early stages as this is really a great foundation and gift to give a child. Melodica the top-rated music learning center in Dubai, offers music classes in Dubai. We are specialized in providing music classes like piano, guitar, violin and singing lessons etc. Visit our institute and book a free trial class today. Most people feel very bored, when attending a history class as in history class they will have to hear the old stories and contributions of the past people. In the same way, people who learn music perceive music history as the most boring subject. The present era’s students also find it very uninteresting and always ask the question, why they need musical theory in their career. Most of the time, music institutions find it very hard to convince their students to get their focus towards the music theory as they always think that this is the most old-fashioned thing to learn. To learn and to teach music theory is considered one of the difficult jobs related to music. In music institutions, the music faculty has to convince their students about it. Although there are a lot of benefits of music theory no doubt but still the faculty have to turn their student towards it. Make sure to include those things when teaching to your students in a way in which they keep interest and then link those things to the music history. Make sure your music classes do not become boring and mixed with the same dull studies and lectures of music. Present the lectures like fun and also add such activities in which students will keep interest. Show them practically by arranging an instrument for the class and let them know the history behind this. In this way, your purpose will also be fulfilled, whereas they will also know something practically about the music history and theory. Look first to your students’ interests and their knowledge in music history and then elaborate whatever they know. There is no need to keep the music classes always boring. You can make them very exciting and full of fun. Melodica music and dance institute help their students to teach them all know-how of music along with music theory. Come and join musical classes from the best music school in Dubai. Ballet dance classes help your kid to learn many things in his/her life with fun. Those children who are attending ballet dancing classes must know the values of socialization and physical development. Moreover, ballet dancing classes teach your kid that how to express yourself in a nurturing environment. 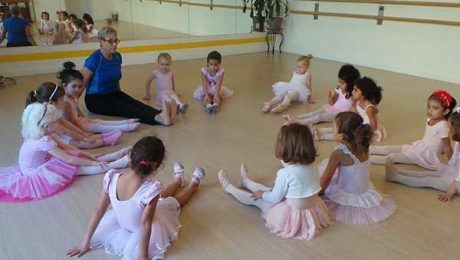 Girls and boys who age is 3 years even can start ballet classes. For the best results, provide the beginning introductory classes for ballet to your kid so that he may start keeping steps in the world of ballet. There are lots of benefits of ballet classes, however, some of the last lasting values have been discussed below. Just like other dances, ballet also helps your kids to enhance his or his physical development. 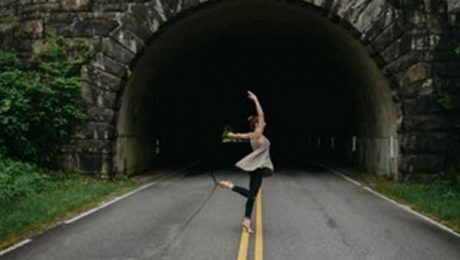 Ballet dancing can make better your overall physical abilities, coordination, and posture. Ballet helps your child to improve the muscular and skeletal system. Numerous athlete players such as ice skaters or football players take ballet classes to improve the full body control. The physical development that is achieved from the ballet dancing will not help your child only for today but also helps to reduce the neck and back ailment chances in future as well. Children who do ballet dance also keep the healthier eating habits. For children, such nutritional habits can boost their body image and self-esteem. The ballet classes for kids can improve their abilities to work in a group and make their more socialized. The longer your kid will attend the ballet dance classes the more socialized he will be like lasting relationship with his friends. Along with an improvement in physical and social development. Moreover, Ballet dance can also improve the self-expression of your kid. Children while learning ballet are allowed to make their own routine and then the students are also allowed to perform on the stage that makes his confidence and the ability to express him. These important lessons and experiences that your kid will learn while learning the ballet classes will remain with him forever in his life. Maybe you will get confused while buying the ballet shoes if you buy it the first time and new to ballet classes. The reason behind that is the different styles of ballet dancing shoes, soles and material as well. The ballet teacher will guide you regarding the type of the ballet shoes that you will need to use. Here we will guide you how to choose the best ballet shoes. The first thing in the ballet shoes is, they should be fit, but it should be noted that they should not be too small. You should ensure there is enough space for your toes to come fit in. Your shoe sole should be flat and should not be curved. Your heel should be fit and stay securely, while you should have a little room for your toes to move. Ballet shoe materials depend on your personal interests and depend on the teacher. So, the best option is to always ask from your dance teacher. Satin shoes are considered the least durable and mostly they are used for performances as they are not worn usually and looks unique in that sense. Canvas shoes are very popular for beginners and ballet classes; while they can be easily washed in washing machine or hand. They are most suitable for a vinyl floor. Leather shoes for ballet are durable as compared to the regular ballet shoes or canvas shoes. 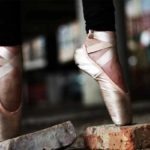 These shoes are mostly recommended by the expert or highly advanced ballet dancers as they are long lasting than canvas shoes and satin; while some of them prefer to have their pointe shoes in the form of leather. As long as you are using your ballet dancing shoes, this is guaranteed that they will be stretched with time. It is necessary to begin using a full sole shoe for ballet to provide full support to the arch of feet. The full sole will help them to achieve the pointe since their feel strengthen and develop with time. The intermediate level ballet dancers develop in split-sole shoes as they allow much more movement and flexibility in the foot while ballet dance classes. If you are in Dubai and want to start ballet classes, just visit our website: www.melodica.ae for more information. We have the most experienced and qualified ballet teachers who will teach you how to do ballet dancing. Research has shown some benefits of music education and can help your child in a different way just than learning the ABCs of music. Learning music is more than you think. At a time a person is busy to use his several parts of the body like ears, eyes, hands and some small muscles. One of the important benefits of music education is that it is good for language development. When a child comes to this world he/she is ready to decode words and sounds by default but music helps the child to learn more quickly by enhancing the natural abilities of the child. According to research the effect of music has been seen on a child’s brain as musical training can help to develop a part located on the left side of the brain. 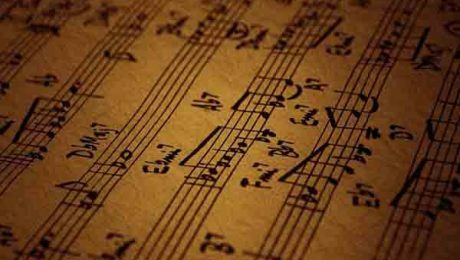 It has been proved by the research the music can increase your IQ level as it has been tested that those children who are taking a music lesson are more intelligent than who don’t take. Those children who are involved in the music activity, their brain works better than those who haven’t involved with music education; moreover, their neural activity is also better. According to research those who are involved in music education, can perform better tasks related to the brain. According to a test study students with superior musical education performed better than the other students with the low-quality education program and scored 22 percent higher in maths and English. Music is important and you will understand after a Pruett saying that Music makes your kid happy and interesting and later he will become smart as well. Music increases the desire of getting those things that make you happy. The motive of the musical education to your kids is to help them to gain all aspect of music, to become more musical, to learn all the know-how of singing and music. If you are in Dubai and want your kid more bright and optimistic in terms of music education, enroll in one of the Melodica’s branch. Our teachers know how to shine their students. Come and visit Melodica and book a free trial class today. 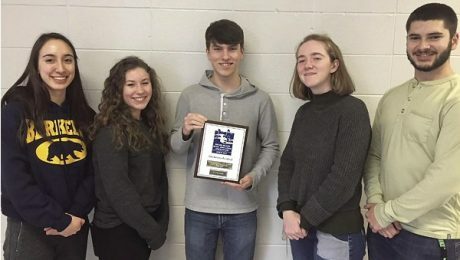 South Kingstown high school, from six other schools, performed Monday to Orchestras in the annual RI Music education. 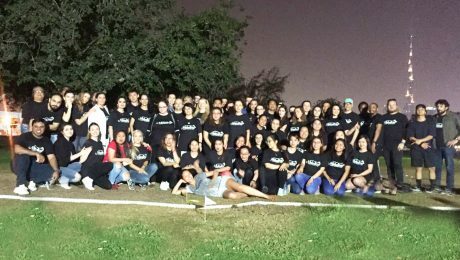 “This was really a special opportunity for us we got with the students and this kind of music events are very special to music” as this was explained by the SKHS the director of band and music Fritz Benz. RIMEA which is founded in 1915 provides the music opportunities for students of all grades as well as to the Rhode Island Educators. Three pieces had been performed by Orchestras; this first one was a warm-up while the 2nd and 3rd were presented for the judges of the panel. The judges then gave their own comments and scores. Benz explained that our students got the best award which was given to us. Moreover, they were praised for their good performance, attentiveness, musicianship and we really proud of them. Benz added that it was very valuable for us to hear the impressions and the feedback we got from the judges. Judges gave their commentary on every single performance of the students and our students got really good reviews. It was really amazing material to learn for the directors and students said by Benz; he added that their students had more than one and a half hour of comminatory to go over right after the performance. Benz added that that was a proud moment for us to get a chance to represent our skills and everything that we got, as well as it also provided our students the leadership opportunity. Good news to all the Rock & Pop Dec-Jan session examinees. 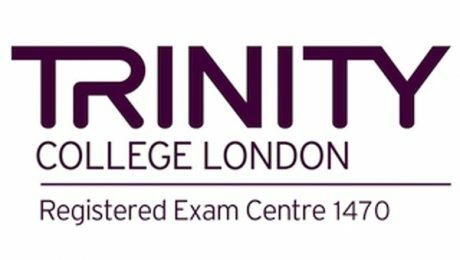 The exam results are now released by Trinity. Mark sheets and Certificates will be distributed by your respective teachers. Congratulations to all our examinees!